WARNING: This post contains graphic images. Although these are understandably very disturbing we believe it is important for the world to see what is really happening in West Papua. My heart is filled with grief and sadness to learn that yesterday in West Papua, at least 5 of my people were brutally massacred by the Indonesian military and police, just for protesting against military violence against children. Torturing and killing children is a crime against humanity and those responsible must be brought to justice. Alpius Youw, Alpius Gobai, Saday Yeimo, Simon Degei and Yulian Yeimo were all boys aged between 17 and 18 and were all shot dead by the Indonesian military yesterday in Paniai. This horrific tragedy occurred when the Indonesian military and police mercilessly opened fire upon a crowd of people, mostly youths and children who were demonstrating against the torture of another 12 year old boy by Indonesian soldiers. There is absolutely no excuse for the cold blooded massacre of between 5 and 12 innocent boys and I want to say that I fully condemn this evil human rights atrocity. How can the Indonesian government ever defend its position in West Papua while it continues to massacre my people, even children, just for speaking out against military brutality? Events such as this horrible day of bloodshed in Paniai reveal to the world exactly what the Indonesian government is to this day doing in West Papua. Recently I was interviewed by BBC Indonesia and I declared that I do not trust the new Indonesian president Joko Widodo (Jokowi) and do not beleive that he will bring any positive change for my people. This heinous massacre against the Papuan youth is exposing Jokowi’s lies to the world and is proof that he is continuing to murder the next generation of my people just like former Indonesian presidents have done, with no regard whatsoever, for our human rights. 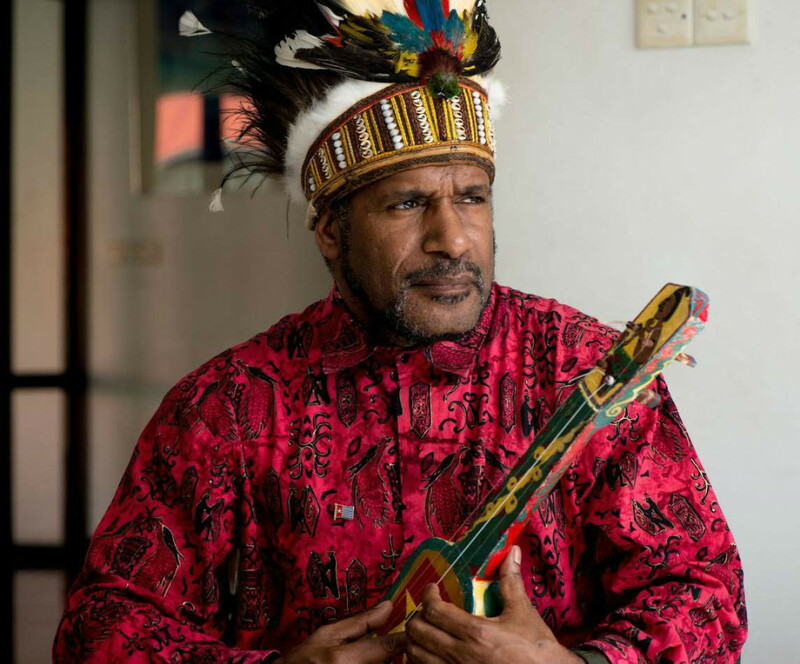 I am calling for a protest to be held outside the Indonesian Embassy in London to demand justice for the murdered boys, an end to the killings of my people and that the Indonesian government gives West Papua back to Papuans. Please join me at this demonstration at 12:00 PM (noon) on Saturday 13th December outside the Indonesian Embassy at 38 Grosvenor Square, London. I urge all other Free West Papua Campaign groups and other supporters to also hold similar demonstrations around the world to protest against the cold blooded murder of these boys. I am also calling upon the international community to immediately condemn this act of extreme terror towards my people who were only protesting against military brutality. Please look at the reality of what is really happening to my people. Men, women, children; all of us are being killed like flies in our own country by an occupying Indonesian army. I ask all supporters and friends including human rights organisations, NGOs and church groups to also fully condemn this massacre of boys and children in Paniai. 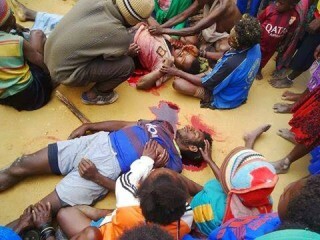 Please share and widely publicise this atrocity so as to increase worldwide awareness about the genocide in West Papua. Please help to lobby politicians to support my people in breaking free from the Indonesian military occupation by supporting us in our struggle for self determination and independence. 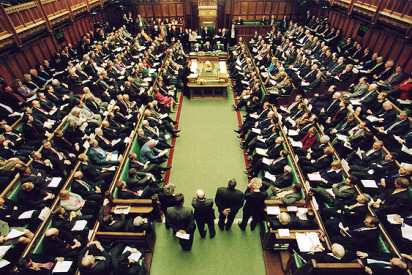 You can send this letter to your MP or other political representative and ask them to support media freedom and self-determination in West Papua. My people are in desperate need of voices to report the reality of this genocide we are facing every day. On behalf of the Free West Papua Campaign I give my full and deepest condolences to the families of all those ruthlessly murdered in the Paniai massacre. Their loved, their youths and children died protesting for all our rights, so that freedom and justice will one day come to our people as a whole. The victims of this terrible day will be remembered in the history of West Papua forever along with the other hundreds of thousands of innocent Papuans who have died in our freedom struggle. May they rest in peace. Having just returned from Vanuatu where I have been attending a reunification conference for all West Papuan independence leaders, I have great hopes for West Papua’s freedom struggle but such massacres as these cause great pain for all Papuans, showing us the urgency of our people’s quest for the liberation from this violence and illegal occupation. It is for this reason that I am writing these words as a cry for help. Please see the suffering of my people and take action to help us. We are desperately in need of international support to help us find true peace and freedom in our own country. Please support my people in our peaceful struggle against these horrors of colonialism and genocide. We want our rights to be restored and our justice granted. We want a Free West Papua.